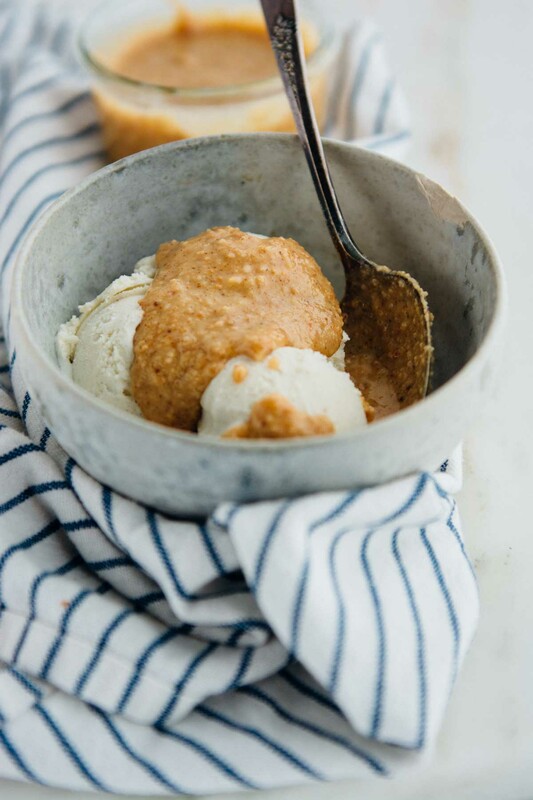 This toasted coconut cardamom butter is a recipe that I could kick myself for not thinking of earlier. I shared a recipe for easy homemade coconut butter earlier this year. While I love to add it to smoothies and baked goods, it wasn’t something that I would enjoy on toast or by the spoonful the way I do JIF peanut butter. Until I tried this recipe, that is. I’ve been having a hard time keeping myself from just standing at my sink eating the entire batch at once. It couldn’t be easier to make. All you need for this recipe is a few cups of coconut, a tablespoon of coconut sugar, and a touch of ground cardamom and flaky salt. 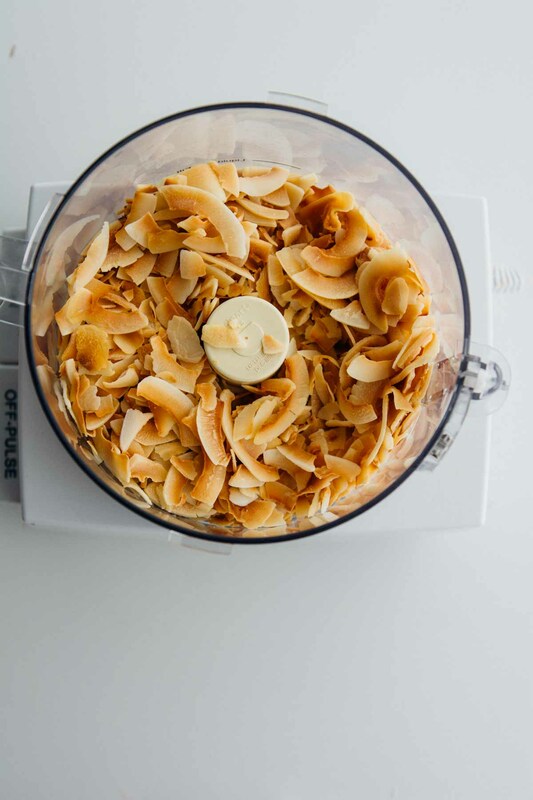 Toast the coconut, toss it into a food processor, let it run for a few minutes and it will be transformed into a smooth, silky, unctuous butter that has dozens of uses. What would I use coconut butter for you ask? 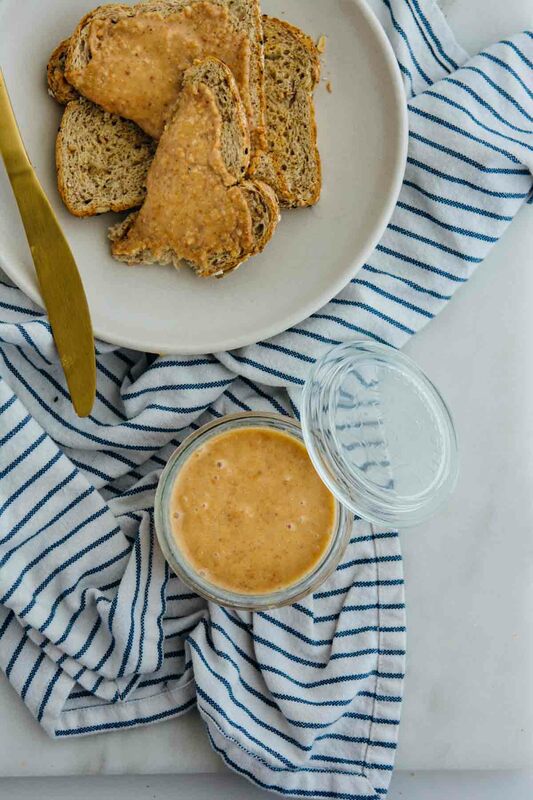 You can top your morning toast with it, drizzle it over a bowl of oatmeal, or add it to a smoothie. 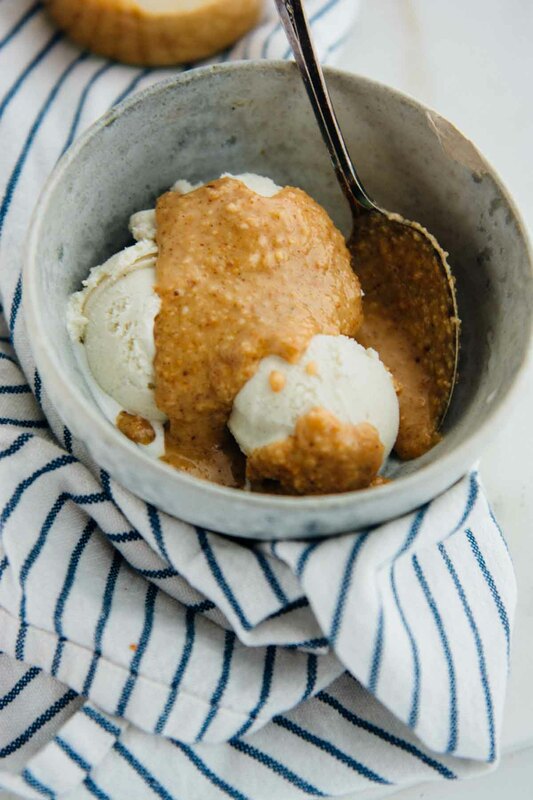 It is also a valuable addition to healthy desserts like my chia pudding, dark chocolate coconut butter bites or added to salted date caramel! It also makes an instant magic shell for your favorite ice cream recipe! Just dip or drizzle on top, and in a minute you’ll have a lovely crispy topping! Make sure you use unsweetened coconut. Bob’s Red Mill makes a great high-quality coconut that blends into butter easily. I’ve found that 4 cups of coconut is a good amount to guarantee that the coconut will break down easily. The butter will keep for months if it is properly covered and stored at room temperature. You can cut the amount down to three cups, but any less than that and you may have a hard time getting it to process. Just be patient and let the processor do its work. The coconut should turn to a smooth liquid consistency, and that is how to tell when it is done. It will solidify as it sits so if you want it to be pourable just pop it in the microwave for 10-15 seconds or you can pop it into a water bath for a minute or two. 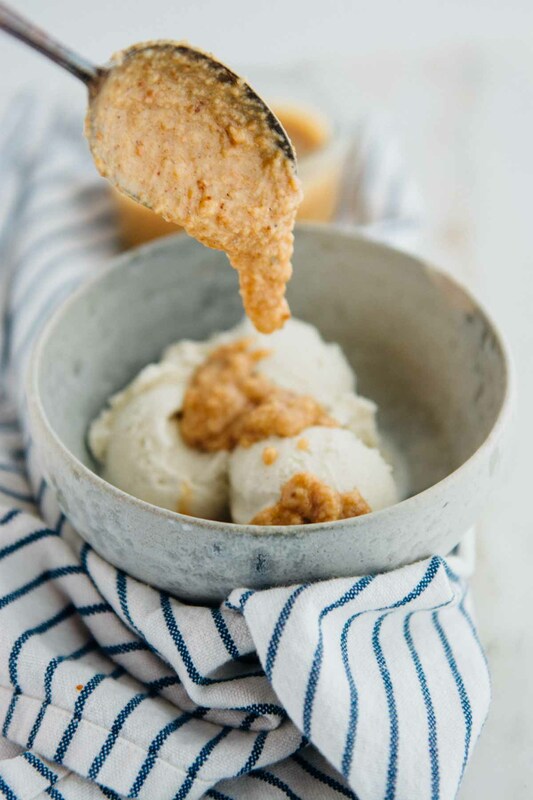 This recipe is vegan, paleo-friendly, gluten-free and has no refined sugar. 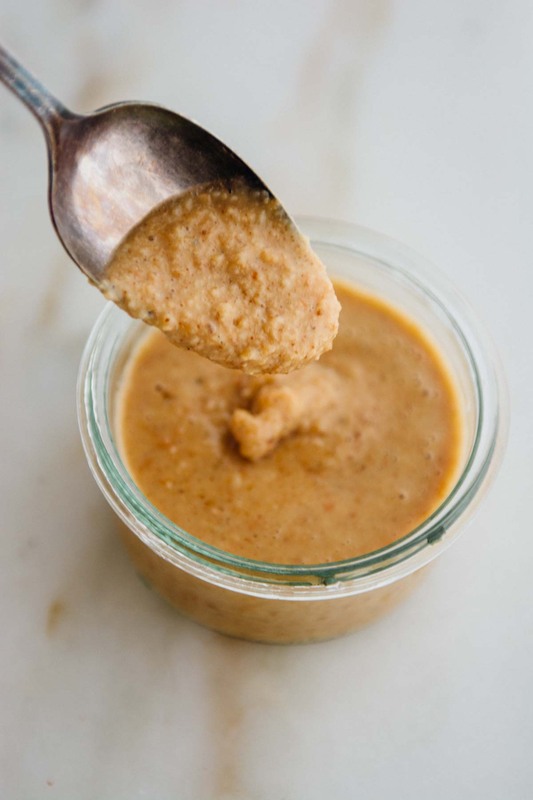 It’s delicious on it’s own and can make a great substitution to many recipes calling for nut butter. Be sure to check back Monday when I’ll be sharing my new favorite recipe for coconut butter that has a secret good for you ingredient! Pre-heat the oven to 350 degrees. 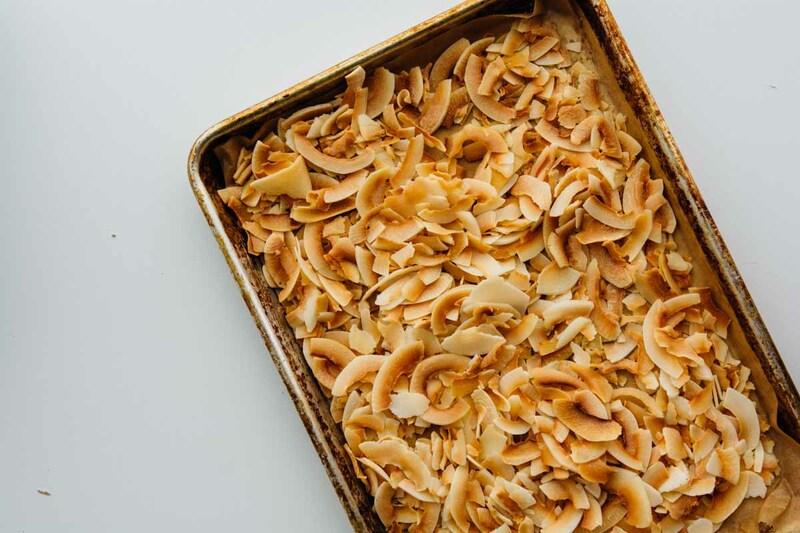 Line a baking sheet with parchment paper and spread the coconut in an even layer. Toast the coconut for 5-8 minutes, stirring once or twice to ensure even browning. The. coconut is ready when it's golden-brown and fragrant. 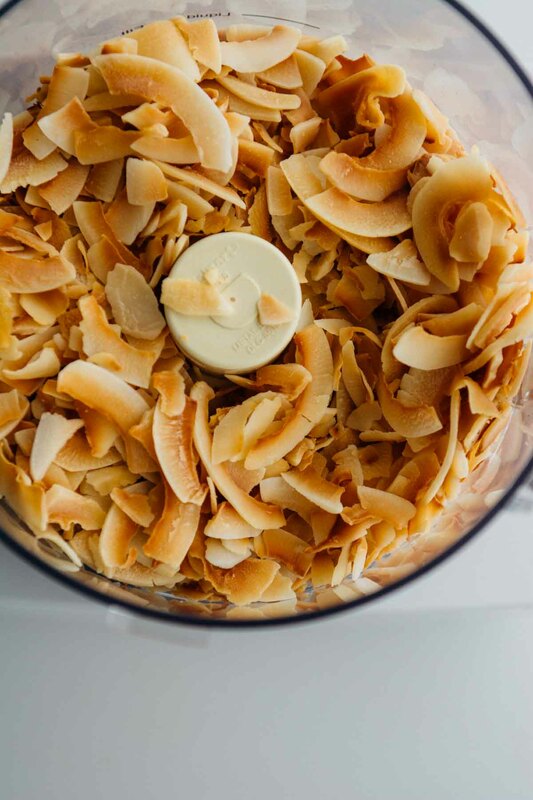 Place the coconut into the bowl of a food processor and add the coconut sugar, cardamom and kosher salt and process for 5-8 minutes stopping to scrape down the sides periodically. The butter is ready when the mixture is smooth and liquid. Pour the mixture into a glass jar and store at room temperature. 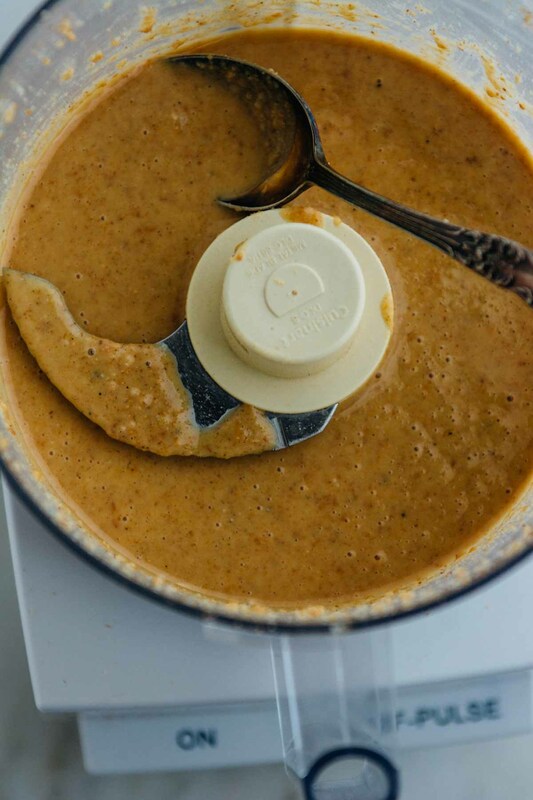 If the coconut butter is solid, warm in the microwave for 15 seconds to re-liquify. 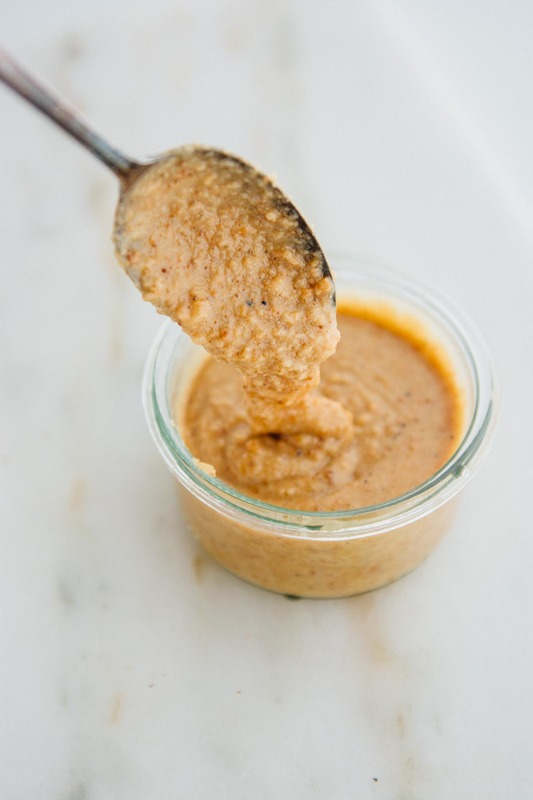 Spread on your morning toast, as a dip for fresh fruit or drizzle on top of ice cream for an instant magic shell!